Cartigny is a commune in the Somme department in Hauts-de-France in northern France. 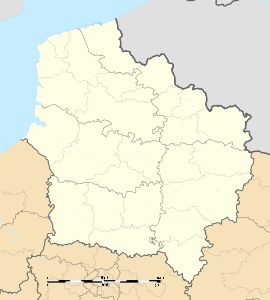 Cartigny is situated on the D194 road, some 56 kilometres (35 mi) east-northeast of Amiens. Wikimedia Commons has media related to Cartigny (Somme). This page was last edited on 28 December 2018, at 17:44 (UTC).